Server & Forum Update - Moved to another location! I know, recently we've been very silent without those usual daily updates and stuffs. I've been busy with other stuffs and we were also moving to a new host, as you might know server moving is a real pain in the arse work. But hey, I am done with all those hassles and I've a good news for you. Both the forum and the game server is ultra fast serving your requests. Got an idea? Feel free to suggest by clicking here or joining our discord group. It's been almost a month, we've passed through lots of daily updates, gained lots of loyal players, more over we've established our name in the SA:MP universe. So this is the time to unleash the major update, which I've been working on for a while apart from the daily updates. 1)Moved ephedrine drug smuggling drop off spot to prevent false alarms. 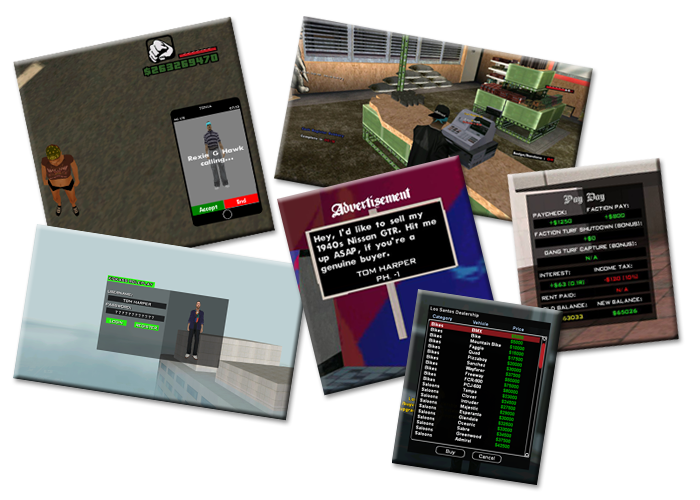 2)Entirely revamped dialog system, including skin, vehicle, faction locker selection menus. 3)Removed all discord-samp related connections, due to lots of compatibility & stability issues. 4)Added the missing sawn-off weapon rank. 5)Revamped gang stash weapon selection/adjuster. 6)Added a new Craft Weapon option in gsafe for gang members. 7)Offline SMS system revamped. Just do /sms <number> the person will receive it when he's online. 8)Adjust clothes buying price to 500. 9)Fixed lots of skin list/selection based bugs. 10)Revamed SFPD Uniform Selection Menu. 11)Revamed SFFMD Uniform Selection Menu. 12)Revamped gang /clothes selection menu. 13)Now you can just press N again to stop robbing the cash register. 14)You're no longer allowed to rob stores when you're the most wanted. 15)Removed RP message while an admin whipsers to other player who is not in vicinity. Thanks to everyone who have posted bug reports and suggestions. As we're feeling so generous, we're offering a cookie for each accepted bug report / suggestion you make. Feel free to PM any of our HA+ to collect your cookie. Make sure to use the format below, while PM'ing. We're running a complimentary service for our new players who joins in this month, would get a week of Immense VIP. 8 MORE DAYS TO GO! Restricted /afk command to admins. Fixed a proximity detector code bug, which caused lots of commands to malfunction. Fixed /tie bug, which states "The player isn't near you". Added /charge command, alias of /su. Removed all traces related to /notorious command. 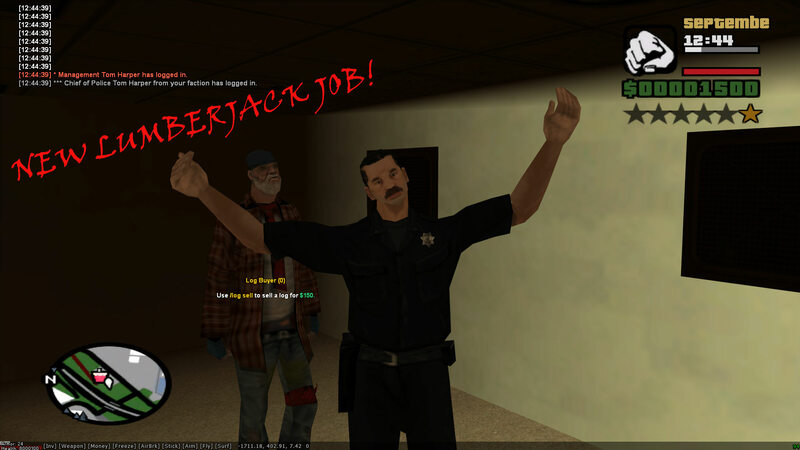 Added Lumberjack job to /setstat job. Decreased number of spam command detection to 2. Disabled showing of player names in the damage informer. Removed fisherman cooldown texts from showing when skill level increases. Increased enter/exit cooldown to 3 seconds. Increase car engine on/off cooldown to 3 seconds. Increase door/gate open/close cooldown to 3 seconds. Added a code which will notify you of the remaining cooldown time. Now you can press Y at the login screen, if you've accidentally pressed ESC hiding the cursor. Now you'll earn a cookie for each continuous 3 hours/paychecks in-game. (Decreased 5 to 3). Now the login/register button will be hidden according to the player registration status. Fixed /jobhelp not showing job help for the Lumberjack job if it's a second job. Fixed a wrong object spawn, when someone used /furniture buy->Kitchen->Cooked Steak. Fixed a bug which showed Lumberjack job based messages when pressed N key. Now you will automatically drop your log when someone attacks you. You'll automatically stop cutting the tree, once you're shot or harmed. You can just press the N key again to stop cutting the tree. Fixed a bug which caused double the cash to be deducted when buying a new level. Added spam detection when submitting commands to prevent spamming or command flood. Fixed a repetitive roleplay message when toggling phone. Today we're introducing our brand new Lumber Jack job. This has been requested by one, supported by many of our players. This is gonna revive your boredom. This will enrich your roleplay experience. You're just gonna make a heck loads of money with your friends. 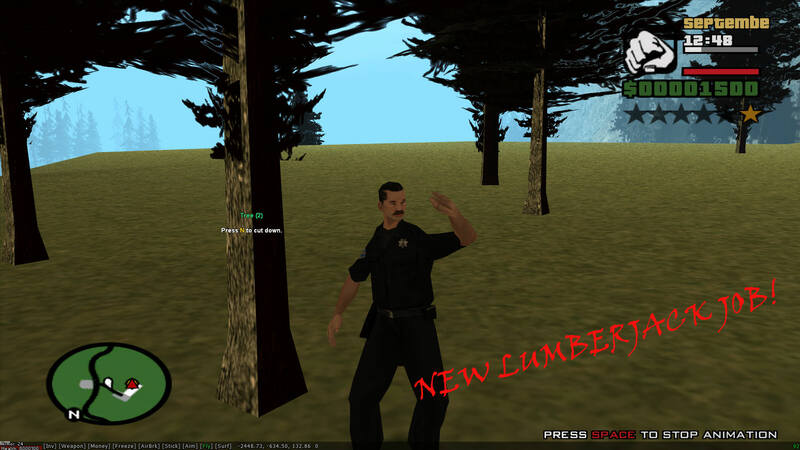 Check out our Lumberjack job trailer, only on Immense RP. Fixed a minor /spec bug. Added a NEW JOB! Lumberjack JOB! Added a new chainsaw weapon to buy at gunshop! It's been almost a week passed since we've opened our community. We've received a huge positive response. This won't be possible without your support. As a part of this success, we'll be conducting events with huge prizes, just stick around here and at our discord to get notified regarding new events. Who wouldn't like updates eh? Here below are the recent updates we've brought upon the server, feel free to have a read. Admins/Helpers will be notified whenever a new player registers. Added admin spectate warn for managements. Added admin statistics check notification. Added admin inventory check notification. 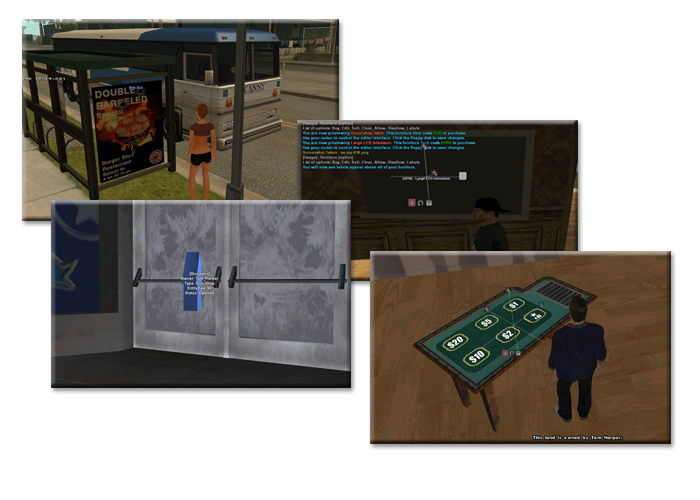 Updated other helper related auth stuffs. Added admin offline check notification. Entirely moved old style server info saving method to MySQL. Removed notification of refunding to all players, which is now restricted to admins. Fixed false Anti SA bugs to specific chat related commands. Most of the /faction commands are now restricted to the one with leader flag. Removed /faction leaderflag. Only administrators can make someone leader in a faction. Revamped door system. Now all doors will open and close smoothly. Added separate PD garage door. Added a new PD garage main gate. Fixed a /join job bug. Updated some helper related authorization stuffs. 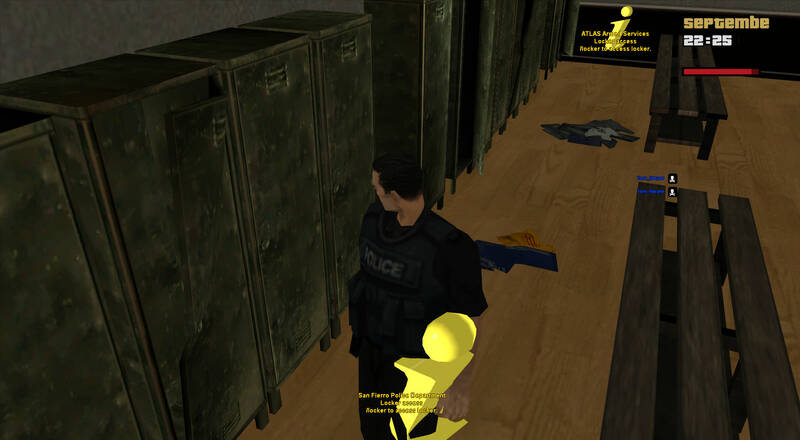 Real armor object would be attached to the player, when a LEO uses /locker to get Kevlar Vest. Fixed a bug which caused the player to spawn in different VW of hospital after death. Updated the location of pilot drug smuggler. You can now smuggle drugs at SF Airport. Decreased Trucker Cooldown to 60 seconds. Now the /f gang chat color would be dynamically changed according to the gang color. We've received a lot of suggestions, since we first started this community. It's been no longer than a week, here are some of those updates which most of you all have requested for. Add static NPCs at newbie spawn, which helps newly registered players. Added new maps at Newbie spawn. Updated all job vehicles to be locked for each specifc job. Fixed a /join job bug, which wouldn't notify you of having the same second job. Fixed a bug which prevented the player from entering a job specific car, even though he has that specific job as his second job. Fixed other miscellaenous job related bugs. 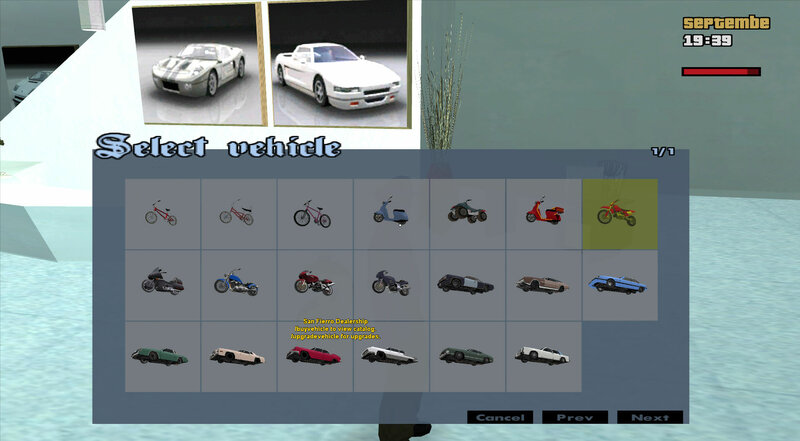 Added a new vehicle preview selection menu when buying vehicles off dealership.